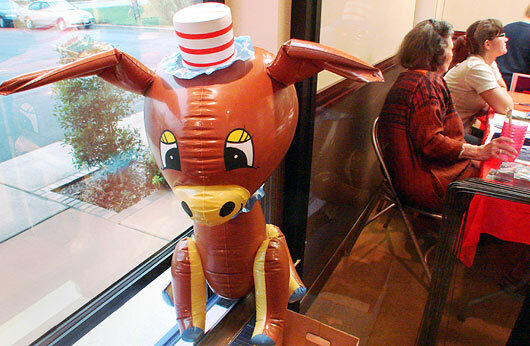 The same day that John McCain pulled ahead of Barack Obama in a prominent poll, a dreary rain suffused Joplin, Missouri, as the Democratic Party campaign headquarters held its open house, yesterday. A Reuters/Zogby's poll of likely voters showed McCain leading Obama 46% to 41%. However, a LA Times/Bloomberg poll of registered voters still showed Obama leading McCain 45% to 43%. Over 300 Obama supporters sardined into the not-quite-big-enough offices at 2727 E. 32nd Street, Suite A. I didn't stick around long; with that many people, it was a bit carbon dioxidy. These folks near the vaguely Warhol-esque poster were in the foyer, looking into the main room. Attendees listen to an address via telephone by Senator Clair McCaskill. McCaskill said of the turnout in Republic-dominated Joplin, "This can't be Jasper County, can it?" 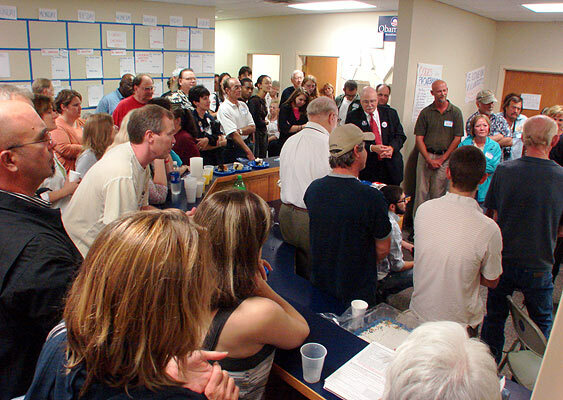 I heard several people remark they'd not previously seen this degree of attendance for a local Democratic Party office function. This mirrors my experience at the Reno County Kansas Democratic Party Caucus. 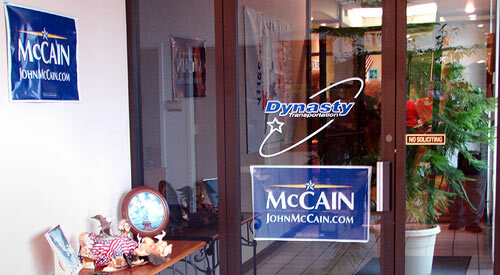 Across the hall, Dynasty Transportation displayed its support of McCain.